During a trip to Crooked River State Park north of St. Marys, Camden County, Georgia on 12/11/2015 a pair of empty adult Triodopsis shells were found on a bluff overlooking the river near the boat ramp (GPS: 30.504208N 081.333395W). A third tiny juvenile specimen was also found. A more thorough survey of the area on 12/14/02015 yielded one additional adult specimen (center specimen, bottom image) and two additional juvenile specimens. 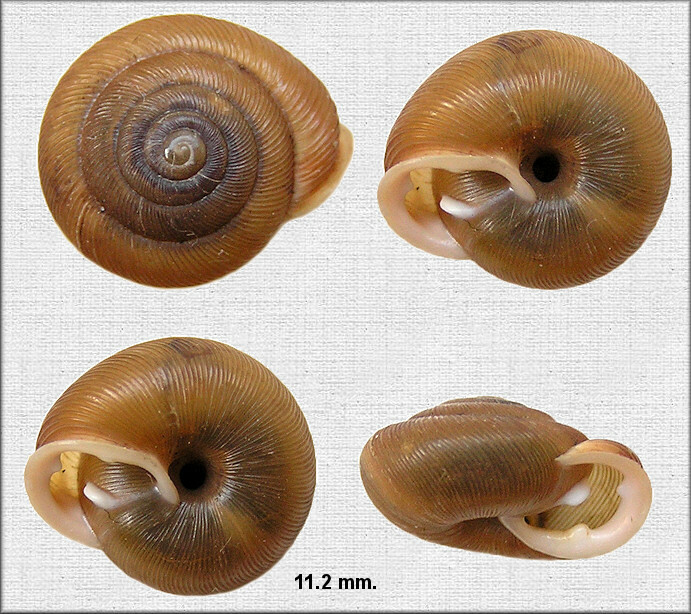 The adult shells range in size from 9.97 to 11.14 mm. 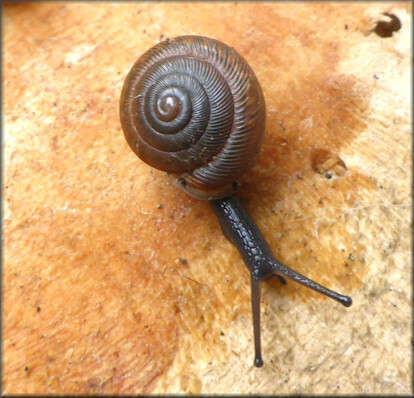 Also see the videos at https://www.youtube.com/watch?v=7CgZaqLbNBI&feature=youtu.be (live snails) and https://www.youtube.com/watch?v=D2Qg1CvRZT0&feature=youtu.be (snail habitat). Initially, the identification of the Camden County specimens was uncertain. 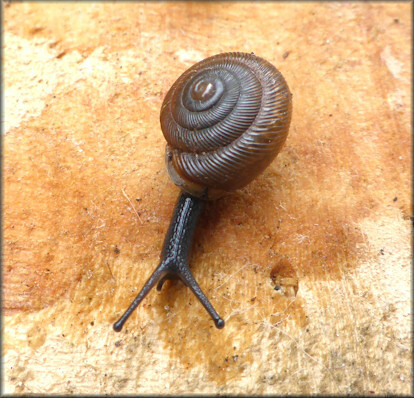 However, after two year in-depth study, including the rearing of two generations of snails in captivity, the Triodopsis are now believed to be Triodopsis hopetonensis.